From digital powerhouses to disruptors shaking up the status quo, a cross-section of research leaders share their thoughts on the brands that will perform well in 2018, and the new players to keep an eye on in the research industry. What brands will do well in 2018? Smaller, niche brands that have a ‘story’ are increasingly seeing cut through, as consumers seek out something different. Companies such as Propercorn and Sipsmith are tapping into consumers who care about the providence of the food they buy. Brands that embrace innovation. The retail environment is changing, and brands need to stand out – like Lego or Dyson. 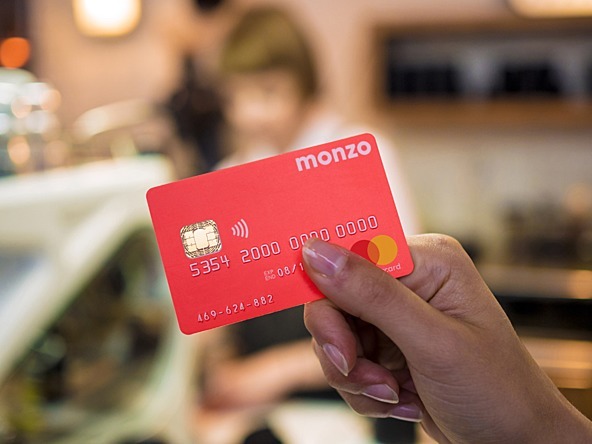 We saw new fintech and digital banking brands like Monzo and Revolut make huge steps in 2017 and I think in 2018 we’ll see those challenger banking services grow massively. We’re undoubtedly going to see continued growth of the big digital powerhouses; Facebook, Google, Amazon, etc. But perhaps we will also see further movement of East Asian (Chinese and Japanese) brands coming to the West – there’s currently nothing like WeChat in terms of service over here. Social commerce in Europe and the Americas remains very limited to date. Brands that can tap in to the cultural zeitgeist, the on-demand economy, are likely to flourish. Procter & Gamble recently acquired Native, a San Francisco-based start-up that specialises in direct-to-consumer personal care products that are devoid of what some consider harmful chemicals. Direct-to-consumer brands are succeeding as they offer greater consumer control of when goods can be purchased and delivered, the value in saving in time and effort becoming just as important as saving costs. Technology is the facilitator, and it’s allowing for a more tailored customer experience. The brands that do well in 2018 will be those that tap into what consumers want and the growing desire for authenticity. In the wake of Brexit, this will likely come in the form of British brands with a strong British heritage, but also those that put the mood of the nation and good customer service at the forefront. Brands with transparency and authenticity are also at the top of consumers’ priority lists – Santander, OVO and TSB, for example, have all proved their worth to customers. Amazon, Google, Alibaba and IBM all seem to be taking the lead with AI, there will be others such as Microsoft and Apple following along but their efforts will be to help target their own products, whereas Amazon, Google etc seem to be building out more comprehensive frameworks that will not only impact how research is conducted and analysed, but how we interact more generally with an increasingly digital world. Who are the agencies or new players to keep an eye on? With signs that they are moving more aggressively into the digital space, we definitely need to keep a closer eye on management consultancy firms. Deloitte’s ‘Digital Transformation’ offer is currently the smallest in its portfolio, but it is also the fastest growing part of their business, and Accenture is also seeing strong organic growth. I’ve been fascinated by the rise of Mindprober from Portugal, which has created an automated, in-home neuroscience-to-scale research offering. It won the innovation award at IIEX Atlanta earlier in the year and just won the MRS/ASC Breakthrough Innovation Award. It has a very talented team and it will be interesting to see what the future holds. Research Bods is a really forward-thinking company, pushing the boundaries when it comes to modernising market research tools and interfaces to improve the research experience for the consumer. One agency that is worth keeping an eye on is the new Research Now SSI entity. It will be extremely interesting to monitor as it has size, scale, interesting approaches and is increasingly fostering end-client relationships. While it may seem that industry giants should have the best resources to continue their success next year, this is not the case. It is the mid-sized insight agencies with an array of in-house capabilities that will be the ones to watch, as these companies have the space to be flexible and evolve with the needs of clients. The giants are already in decline and more boutique agencies such as Incite, Firefish, Boxclever – and of course Facts International – all have potential to achieve next year. Research Live is publishing a series of articles to reflect on the key developments and trends of the past year and make some predictions for 2018.